In endodontics the working length is defined as "the distance from a coronal reference point to the point at which canal preparation and obturation should terminate." The importance of the correct determination of the working length is linked to the identification and maintenance of the biological length of the root canal system. 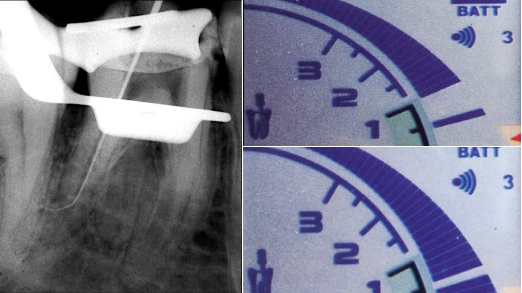 Accurate determination of working length prevents UNDER INSTRUMENTATION that could leave tissues and debris in the apical segment, or OVER INSTRUMENTATION which could cause patient discomfort, damage periapical tissue, or potentially cause an infection or cyst development from the placement of irritating materials beyond the apex.